Your search found 2 image(s) of petiolar glands of Chamaecrista. 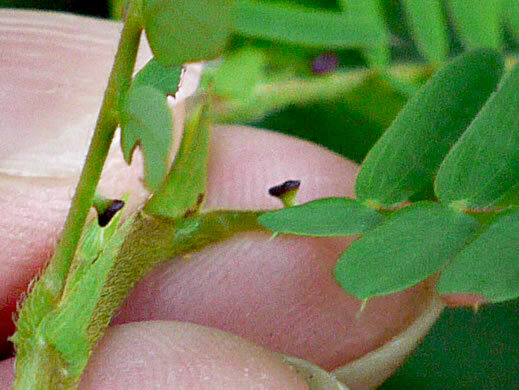 A sessile, saucer-shaped gland near the middle of the petiole, per Vascular Flora of the Carolinas. 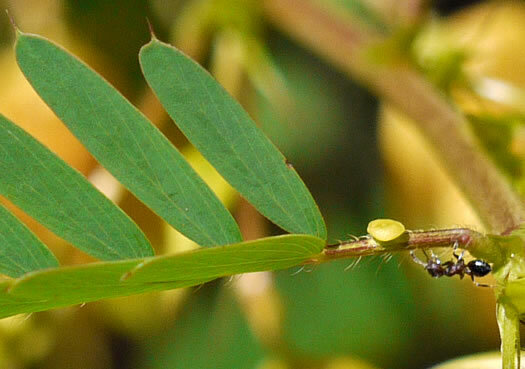 Leaves with a slender-stalked umbrella-shaped gland just below lowest leaflets, per Vascular Flora of the Carolinas.